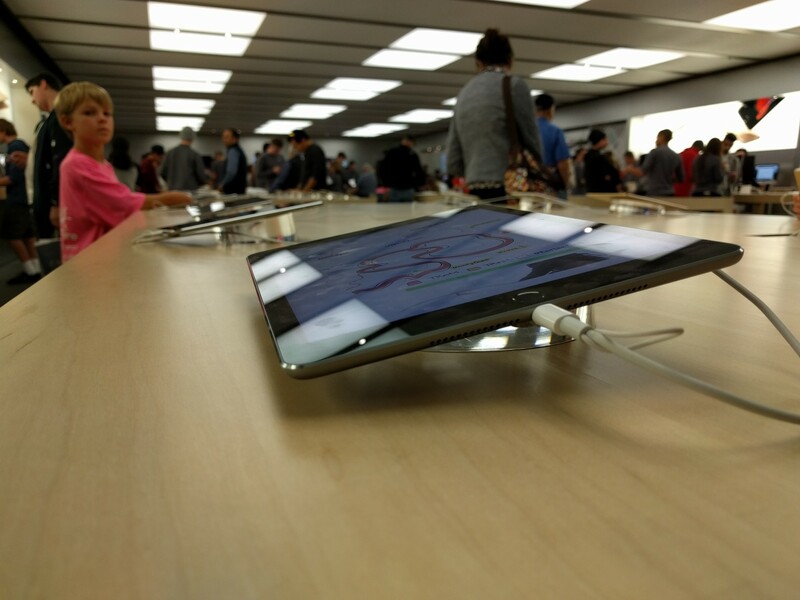 iPad Pro sales started today, and the tablet is available to buy at my local Apple Store but not to see or handle. There are no display models. That was the situation around 5 p.m. What amazed me: How many people bought sight-unseen. In the five minutes I looked around for the 12.9-inch tab, Apple staff sold three (if not more). Do these people understand just how big this thing is? Stranger still, the two accessories that deliver differentiating benefits—so-called Pencil and Smart Keyboard—won’t ship for three or four weeks. The overly-large tablet isn’t good for artists or as a laptop replacement without either input device. All this while Apple marketing touts their major benefits. Not long after leaving Apple Store, I swung by Best Buy looking for something else and finding iPad Pro on display. As you can see from the second photo, with MacBook Air as reference, the tab is ginormous. I wouldn’t use it as a tablet; same applies to Microsoft Surface Book, which was staged a few meters away. 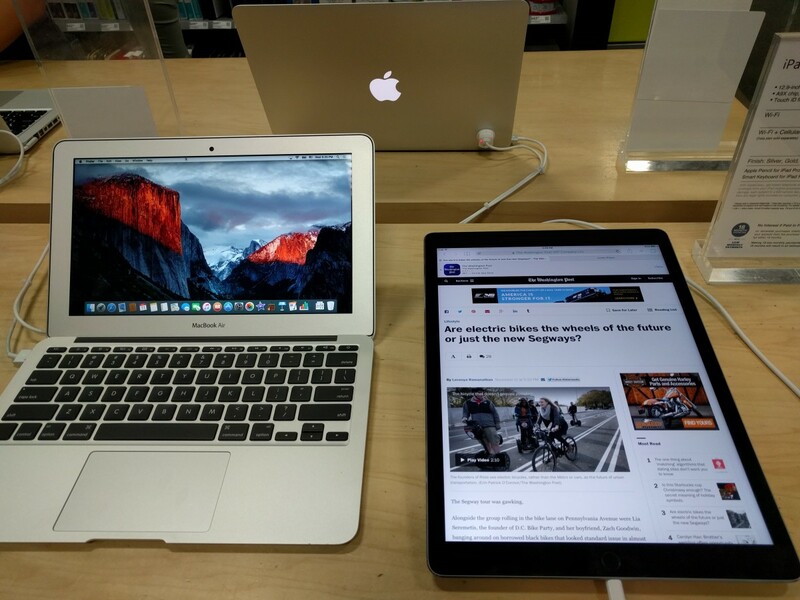 I was tempted to purchase iPad Pro until actually using one at Best Buy. It’s too much to be a manageable tablet and too little to be a laptop replacement—certainly minus keyboard and stylus.